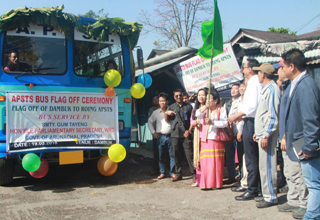 DAMBUK, Mar 19: An Arunachal Pradesh State Transport Services (APSTS) bus between Dambuk to Roing under Lower Dibang Valley district was flagged off by Dambuk MLA Gum Tayeng on Monday. The bus service has come as a great relief to the people of Dambuk in their travel to Roing and back. Reportedly, private vehicle operators charge Rs 250 for a mere 35kms distance to Roing. The APSTS bus fare has been fixed at Rs 60 for the same distance. 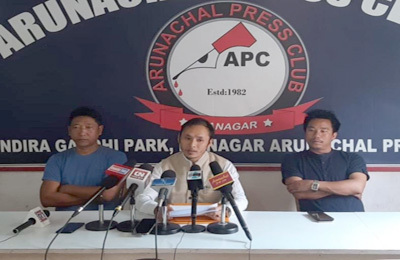 The APSTS started its maiden journey from Dambuk market in presence of Deputy Commissioner Mitali Namchoom, ADC Atul Tayeng, APSTS General Manager Abu Tayeng, government officials, PRI leaders, gaon burahs and public of Dambuk. 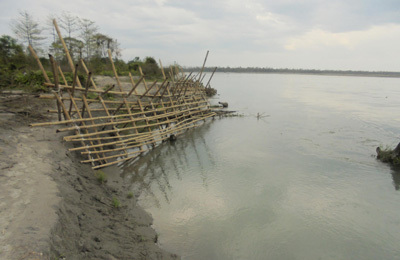 The completion of the bridge over the Dibang River has also brought in all-weather road connectivity to Dambuk subdivision. Earlier, Dambuk subdivision remained cut-off during monsoon season.